Let’s get our weekly poll post underway for our 5 weekly polls, and yes, we go back to 5 polls this week after only voting in 4 last week. But as has been the case since the summer, it won’t be the usual 5 polls we used to regularly vote in for years, week in and week out, as things have been changing for some time now here - since the summer, anyway. But for this week we will go back to the usual 2 Stones polls to vote in for the first time in months, with the one normal poll question along with the one album VS question. So we enter week 1002 this week and in case you missed last week’s poll post, yes, we are still able to run the Stones poll past week 1000 after all, other than I can’t program past week 1000 in the admin, so while where up on top of the voting page it will read, and for now on it will always read “week 1000” there, but where the question is read, the correct week will show. This was the only way to program the poll after week 1000 and still get it to show in the Stones poll slot on the Poll Menu and Poll Archives pages. For this week we will answer this question in the first Stones Poll: Stones Poll Week 1002: Of the first 2 Rolling Stones UK singles, which one is better? Okay, so this is about the band’s first 2 UK singles (not the U.S. singles) and their first 2 singles released anywhere. 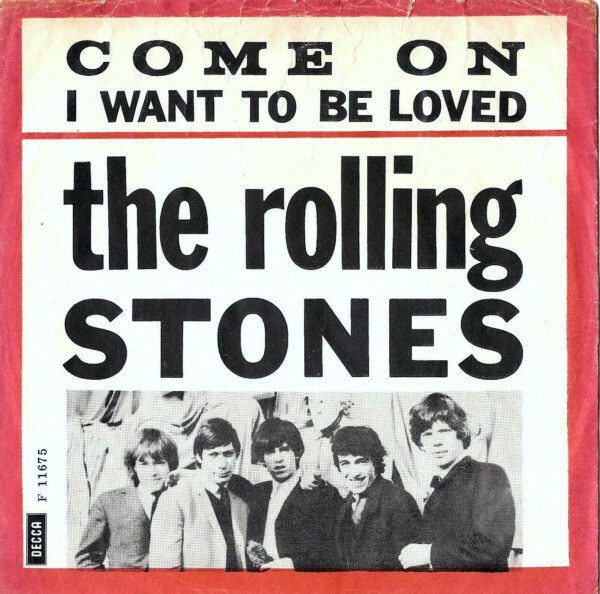 “Come On” was their debut single, released on June 7, 1963. It made it to number 21 on the UK single chart, so not a bad debut for the Boys at all. 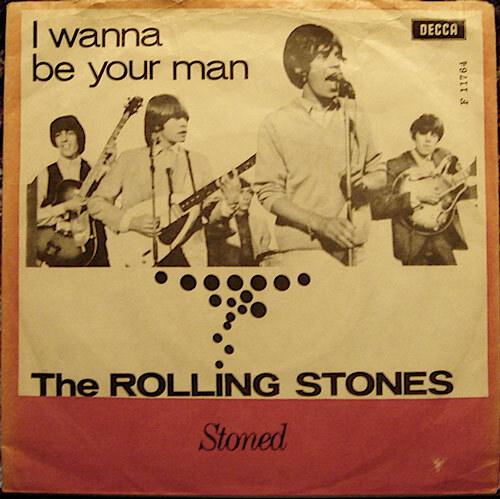 “I Wanna Be Your Man” was their second UK single, released months later, and you all know the story behind this one, where John Lennon and Paul McCartney while visiting the Stones at Mick, Keith and Brian’s pad, wrote this one for them. This one would become their first real hit, as a Top 20 single it reached number 12 on the British chart. Now, we are not rating the videos linked to in the voting booth, they are there just so you can hear the songs and for nothing more than that. The video you will see for IWBYM, we just voted on not too long ago in this poll, and it received the highest ten rating of any Stones video that we have rated (at 47.7%), so it's important to note this, since the video for "Come On" - was put together by a fan and it only shows photos and doesn't compare to this other one taken from a TV show where they played live. So remember, don't rate anything but the music that you hear for this poll. To vote in this week’s first Stones poll, just click on: Stones Weekly Poll and click on Poll 1. For the second Stones Poll this week we ask: Stones Poll Week 1002: December's Children vs Their Satanic Majesties Request, which album do you like the best? The "December's Poll (and everybody's)”, poll series returns this week to host the Stones’ weekly album battle. In this series, DC is only one of 2 Stones’ ‘60s albums to have a losing record, 2 match wins away from .500 at 9-11 and in 15th place in the standings. It takes on the least voted on album in this series, Their Satanic Majesties Request, which has a winning record of 9-8 and sits in 12th place in those same standings. To see the song list for each album, for December's Children, click on: DC, and for Their Satanic Majesties Request, click here: TSMR. Looking back at our lone Stones poll last week, was asked this question: It's Only Rock 'n Roll vs Between the Buttons, which album do you like the best? This one was close all week long, yet the album that won was ahead for the entire week regardless. To see which LP that was, you can check out the final results here: Stones Weekly Poll - week 1001. Or, you can see the final results and check out the updated, current album standings at the Stones VS Page 1. This one comes from the U.S. TV performance on The Mike Douglas Show in 1974. The Raspberries were of course lead by guitarist/keyboardist Eric Carmen and this was their biggest and best known song, with it hitting big on all of the U.S. record charts in late 1972, reaching number 5 on the Billboard Hot 100, number 4 on Cashbox and number 3 on the Record World chart. But the song, with its sexually suggestive lyrics, was banned by the BBC, and even if what many felt was the dirtiest lyrics to the song, were actually one of the all-time misheard lyrics ever, you know - the part about making it (using the F word) in the bushes passionately – but well no, that wasn’t the lyric at all, even if it sounded like it was. You can check out both the full incorrect and correct lyrics at the Mistaken Rock Lyrics Page if you like. So anyway, to vote in this week’s first Rock poll video/TV performance poll, just click here: Classic Rock Poll, and when you get to this page, choose “Poll 1” to vote on this question. Although I've never been a fan of David Lee Roth at all, this 1984 song is one of my favorite Roth era Van Halen songs and one of the few with Roth as their frontman that I liked, and even if it's a total rip-off lyric wise of the Elton John's song, "Teacher I Need You". But as much as I dig that Elton John song, and I like EJ a ton more than VH, still, I like "Hot for Teacher" a bit more then Elton's song, even if it is a rip-off of his song. The video isn’t too bad either, featuring the band members as both adults and as young students in school. The video’s director, Pete Angelus, did a good job on this one for sure, turning the song’s lyrics into a mini story, while the producers of this video did a good job in finding 4 boys who looked like what the adult band members might have looked like as kids. To vote in this week’s second Rock poll, just click here: Classic Rock Poll, and when you get to this page, choose “Poll 2” to vote on this question. Now on a side note (and I’ve been noting this for some time now), the Rock VS poll is and has been on hiatus and will return sooner or later, but it may become a semi-regular poll once it does return and may not be run every week anymore. Well my friends, this video last week set an all-time record high in voter percentage for a 10 rating in any video poll that we have ever voted on at any of the video polls on the domain (and we’ve voted on a lot of ‘em) - be it at the Stones, Beatles, or this Rock Video poll. So obviously the top rating was a ten and it took in 69.2% of the vote! That destroys the old record high set at the Beatles Video polls of 58.2% for the ten that “We Can Work It Out” had received. Wow! To see the full, final results from this poll, just click here: Classic Rock Poll 1, week 641. To see how the other videos that we have rated so far for this Rock poll have done, go here: Top Ten Lists, Page, 14. It’s the second listing on the page. This one also did real good in the voting, with a ‘10” also being its top score, although the voting for this one was very close and even tied at times during the week and even as late as Sunday afternoon. To see the full, final results from this second Rock poll, just click here: Classic Rock Poll 1, week 641. Plus again, to see how the other videos that we have rated so far for this Rock poll have done, and where this video fits into the list, please go here: Top Ten Lists, Page, 14. Again, it’s the second listing on the page. Time to close out this poll post as usual with the Beatles poll, where we enter week 395 of voting, and ask this new question: A Hard Day's Night vs Please Please Me, which album do you like the best? Week 2 of “The Day is Night Polls” featuring the LP A Hard Day's Night, which of course came from their first movie. This week it goes up against the Beatles very first LP and an album we haven’t voted on in a while, Please Please Me , as I’ve been saving it for these last few weeks of this series. To see the song list for each album, for A Hard Day's Night, click on: AHDN, and for Please Please Me, click here: PPM. In last week's Beatles poll we asked: A Hard Day's Night vs With the Beatles, which album do you like the best? As what seems to be the case often in these Beatles matchup’s, very close voting in this one all week long, with one LP winning by just 5 votes. You can click here to find out which LP that is: Beatles Weekly Poll – week 394. Plus the results will also show up on the The Beatles' Albums Page over at the Lennon site. So that does it for this week’s poll post. If you live in the U.S., tomorrow is a federal holiday, that being Columbus Day, so maybe you got off from work? As usual I thank all of you for voting in our weekly polls!